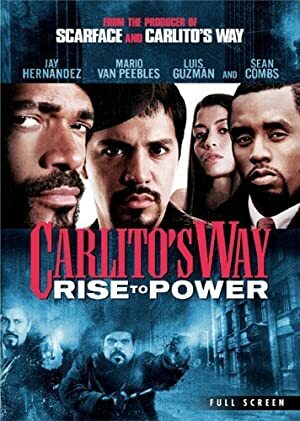 Carlito’s Way: Rise to Power (2005) – What's New on Netflix Canada Today! In the 60’s, the Puerto Rican Carlito Brigante, the Afro-American Earl and the Italian Rocco become best friends while in prison. When they are released, Rocco intermediates a heroin business with a family of the Italian Mafia leaded by Artie Badalato Sr. Carlito negotiates with the lord Leroy “Hollywood Nicky” Barnes the area where the trio could operate in his neighborhood and sooner the three friends become powerful. Later, Carlito dates and has an affair with the beautiful Leticia. When Earl decides to move to Barbados with his girlfriend and leave the heroin business, his stupid younger brother causes a situation with the Italian mobsters, and Carlito and Rocco have to resolve the mess to save their lives. In the late 1960s, Carlito Brigante (Hernandez) emerges as the heroin czar of Harlem.